Private Photography. : Tigger is fierce. 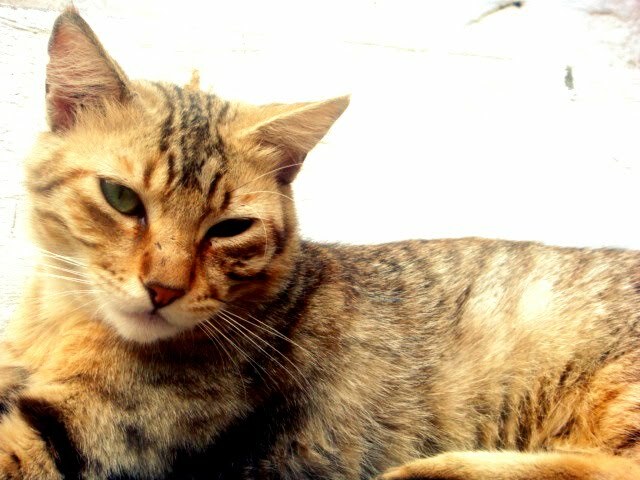 Well, this is Tigger, as you know ;) so in theory he's not mine. He arrived to the house one day, when he was a baby *-* so he used to come here to eat, and sometimes to hang out with my babies (Bill & Tom). He doesn't let anyone to touch him, and as soon as you get close to him, he runs away. Luckily I was able to take this photo, which is -I think- the closest I've ever been to him =P.